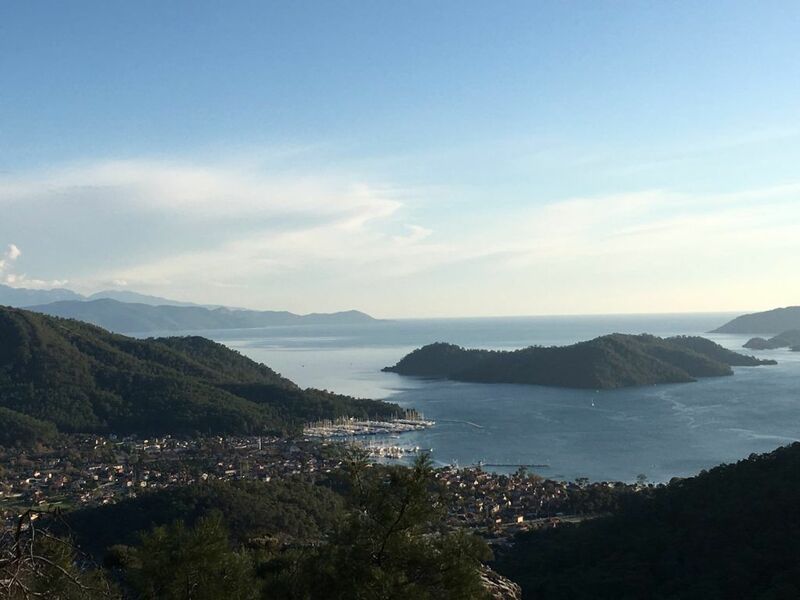 Göcek has grown from a small agricultural town and chromium mining port 24km NW of Fethiye into one of Turkey’s premier yachting centres, rivaling Marmaris/Bodrum Peninsula. Its popularity is largely a result of natural advantages, being at the head of a deep gulf and sheltered by an island. 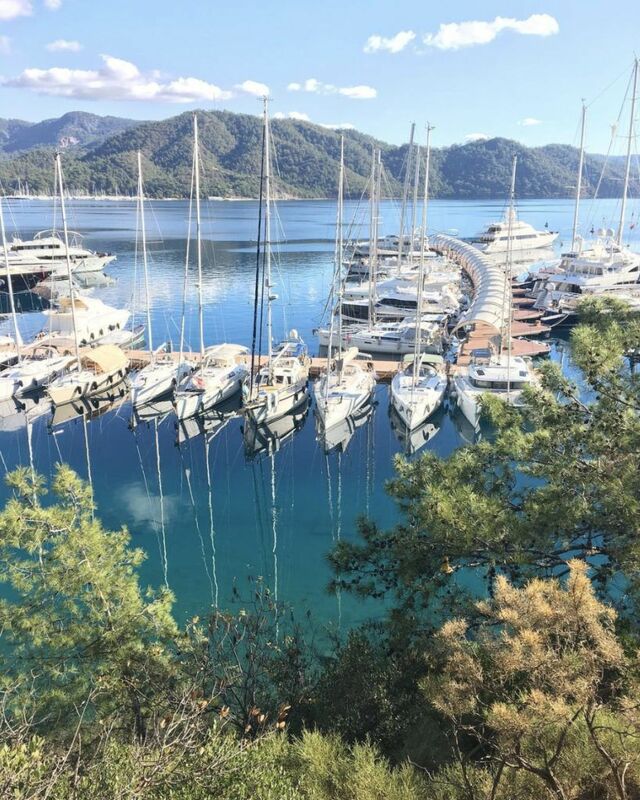 Gocek is home to six marinas and can accommodate nearly every conceivable yachting need. Göcek is an excellent base for exploring the wonderful and popular cruising area of Skopea Limani a few miles to the south, which is widely regarded as one of the most beautiful yachting destinations in Turkey. Additionally, the so-called Twelve Islands of the Gulf of Fethiye are easily accessible. Between Marin Turk/Village Port and Skopea Marina – good shelter, barring an occasional chop from strong southerlies. Anchor in 5–10 metres in mud. The holding is very good. NW Göcek Bay near Club Marina – slightly better shelter in southerly winds, but is deep. Anchor in 15–20 metres to the north of the marina mooring buoys. The bottom has good holding. Numerous sheltered anchorages in the six mile stretch to the Skopea Limani.